Soon after the Six Day War (1967) Benjamin Mazar began excavations at the southwestern corner and south of the Temple Mount (Haram esh–Sharif). These continued through 1978, and since then significant work has been carried on by others, including Eilat Mazar and Ronny Reich. South of the Temple Mount many exciting discoveries have been made — especially those from the New Testament (Second Temple) Period. Included among them are a monumental staircase that led into the temple precinct, a large number of ritual baths (miqvaoth), cisterns, and investigations of the double and triple gates. 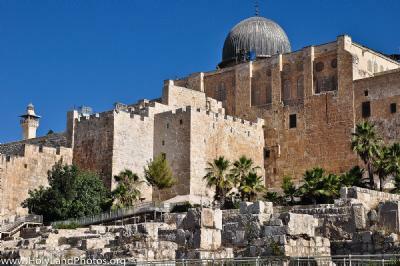 To view discoveries found at the southwestern corner of the Temple Mount Click Here.